Known for his close political relationship with Charlie Haughey, he returned to serve as the party’s director of elections up till the 2000s. PJ MARA, THE long-serving Fianna Fáil political advisor, has died aged 73 following a long illness. He was known for his close political relationship with Charlie Haughey, and returned to serve as the party’s director of elections up till the 2000s. A well-known figure in Irish politics for decades, he also served briefly in the Seanad on two separate occasions between 1981 and 1982. He was press secretary to Fianna Fáil in opposition from 1982 to 87 and fulfilled the same role in government from 1987-1992. Mara returned to helm successful election campaigns during Bertie Ahern’s term in charge from 1997 to 2007. As part of his private business career, he served as non-executive director of mobile phone and communications company Digicel and director of subsidiary Digicel PNG. He was also media relations adviser to Guinness Peat Aviation, the aircraft-leasing company. Mara was a board member of UNICEF Ireland and of the NUI Galway Foundation, and served on the board of the Special Olympics World Games, which was held in Ireland in 2003. Between 2003 and 2008 he acted as an advisor to the prime minister and government of Croatia. His high profile role as government advisor inspired countless sketches on the radio comedy Scrap Saturday in the late 80s and early 90s, where he was mercilessly lampooned by Dermot Morgan. He was also portrayed by Tom Vaughan Lawlor in the 2015 RTÉ Charlie Haughey drama Charlie. A native of Drumcondra on the northside of Dublin, the Fianna Fáil stalwart had been living in Ballsbridge in recent years. A decade after his wife Breda’s death he became a father again in 2013 at the age of 71, describing his daughter as a “beautiful child”. His son John is involved in the property business. PJ was a wonderful person… able to handle almost any situation. The tensest of battles in Leinster House. The toughest of days. PJ would be at the heart of it. Never one to dodge. Wouldn’t go missing, like some people do in political life when it gets tough. In a statement, Special Olympics Ireland said Mara used his “considerable experience and insight of media relations” to allow Ireland’s hosting of the summer games in 2003 to be the success that it was. “It was with great sadness that I learned this morning of the passing of PJ Mara,” Fianna Fáil leader Micheál Martin said in a statement. “On behalf of the Fianna Fáil party I wish to extend our condolences to his family. “In a series of general elections as well as the referendum on the Good Friday Agreement PJ proved himself to be the most effective campaign director in Irish political history. He brought immense humour, judgement and commitment to the role. “As Government Press Secretary for five years he brought a new energy and professionalism to the role which was recognised throughout Europe during the 1990 Presidency of the European Council. “Whether it was international statesmen or a local party stalwart PJ was always available to encourage and support. “PJ was a true original who it was an honour and a pleasure to know and to work with. Email “Long-serving Fianna Fáil political advisor PJ Mara has died”. 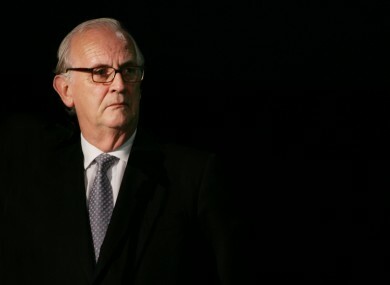 Feedback on “Long-serving Fianna Fáil political advisor PJ Mara has died”.